The weird, yet durable, Casio Android phone bearing probably the worst name in the history of Android devices, G'zOne Commando (oh, wait, the XYBOARD and Rezound win that trophy), is set to receive an update to software version C771M100. The update brings free Push-to-Talk capabilities along with security fixes and other things you may not necessarily care about. 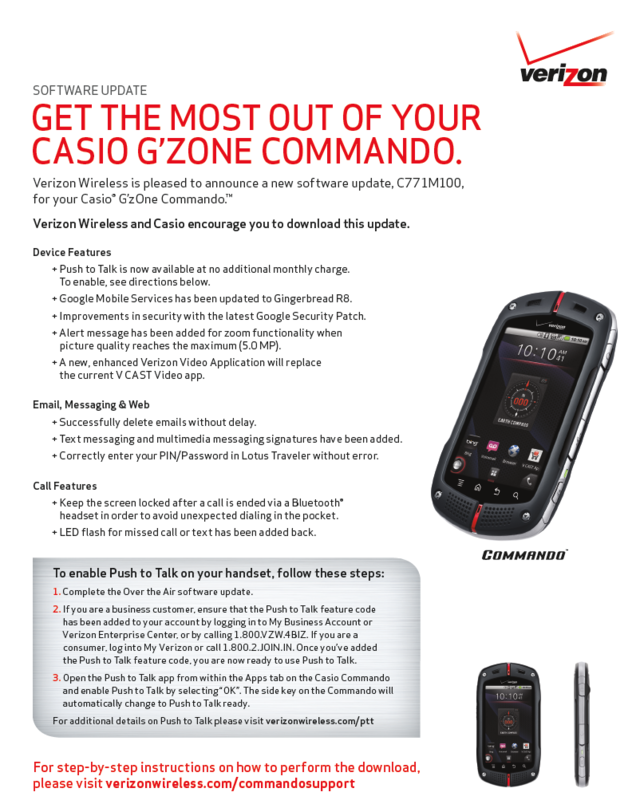 Verizon Wireless is pleased to announce a new software update, C771M100, for your Casio® G’zOne Commando.